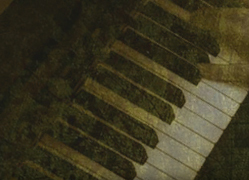 The Tavernacle Social Club - Utah's Premiere Dueling Piano Bar! THERE IS A PARTY AT THE TAVERNACLE EVERY NIGHT OF THE WEEK! The Tavernacle Social Club has been Downtown Salt Lake City's most wild dueling piano show since 2002 and is still the craziest sing-a-long party in Utah. With the most talented entertainers and an amazing bar staff, you can't help but to have the time of your life! Are you celebrating a BIRTHDAY? Then get your crazy self on top of our baby grand pianos to dance a ditty while the entire TAVERNACLE CHOIR sings "Happy Birthday" just to you! Are you getting married? Plan to have the best bachelorette party possible in the fun "safe" environment of Utah's most fun party spot. Whatever you are celebrating, whether it's a recent promotion, an engagement, a graduation, or just 10 days of sobriety, come raise a glass and your voice with us at the Tavernacle! We talk a lot about our amazing dueling piano show, but lets give a shout out to our Karaoke parties! Sunday, Monday and Tuesday nights, the Tavernacle turns into a "locals"bar where we take care of our awesome friends in the service industry and others who are looking to party. Our karaoke host Kevan is one of the kindest, least egotistical KJs in the business. A simple tip will move you up the line to sing sooner. Even if your not a singer, come enjoy the talent of those brave enough to get on stage. We are so excited to announce that we have started construction of our new restaurant. It will be located directly east of the Tavernacle and connect to our current space. 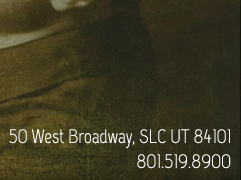 We’re calling it the “steyk center” and we plan to serve some of our morman favorites mixed with pub style classics. We're pushing to be open the first week-end in May. We are always throwing special parties and deals to our friends on facebook, so make sure to "LIKE" us and stay in the loop with all our fun events.